For the Masters Tournament’s 80th edition, let’s take a look back at how it all started with the history of the first of the four major tournaments in golf. 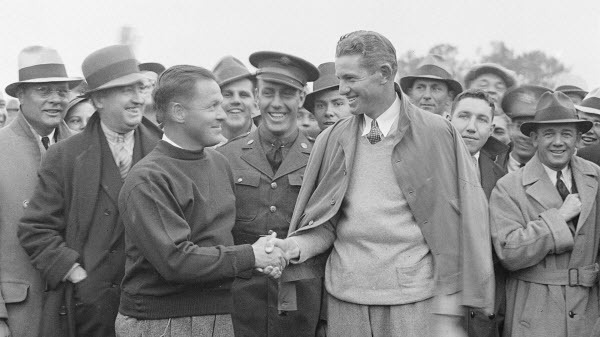 Bobby Jones played his last hole of amateur golf at the perilous par-four 11th hole at Philadelphia’s Merion Golf Club, where he wrapped up the 1930 United States Amateur championship. 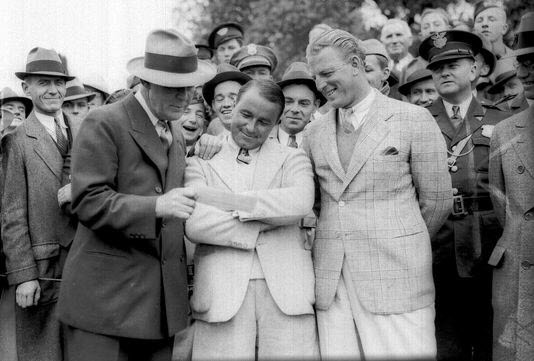 After winning the “Grand Slam” Jones turned pro – not on the course but in the movies. He signed with Warner Brothers studios in 1931 to produce a series of 18 one-reel instructional films called How I Play Golf. The reports of Jones’ slice of the profits from How I Play Golf ranged from $250,000 to $600,000 – in other words, nobody knew. But whatever he earned, he plowed a chunk of it into building Augusta National Golf Club, starting with the purchase of Berckmans Nursery, also known as Fruitland, for $70,000. When the holes were finished each was named for a different plant which could be identified from its fairway. It was a rousing beginning, but the Great Depression was hardening into the worst economic times in American history. Even with the stature of Bobby Jones, the club wasn’t able to attract the membership it was anticipating. During construction Augusta National was in dire financial straits, where even a sympathetic Alister MacKenzie who did the heavy lifting on the design work of Augusta National, slashed his normal $10,000 fee to $5,000 but still wasn’t paid. By 1932 Clifford Roberts, Jones’ partner and manager of Augusta National, was issuing promissory notes to pay bills, and tap dancing to keep the budding club from foreclosure. The only revenue to meet the weekly payroll was guest fees – and anyone with cash was welcomed to play a round. Roberts would later admit that if he and Jones had known that the Depression would become so bad, they would surely have abandoned the building of the club. Finally, in 1934 it was decided that if they wanted to raise some money, the club needed to hold a golf tournament. It would be called the Augusta National Invitational, calling on the world’s top professionals and close associates of Jones who still had some cash. As the big draw, Bobby Jones himself would come out of retirement to play the sticks once again. Horton Smith, a lanky Missourian and five-time Ryder Cupper, won the first tournament. Jones wasn’t competitive in his own tournament, which worked in his favor as that would likely have dulled the interest in the event going forward. Instead, he let other players take the spotlight, especially with the one shot struck in the 1935 tournament by Eugene Saraceni, also known as Gene Sarazen. In the second Augusta National Invitational, Sarazen, dubbed the Squire since he always played in knickers, was an unappealing three strokes back of the leader in the clubhouse, Craig Wood. Jones had wandered out to the course to watch his tournament wind down, and caught up with the action on the par-five 15th hole. Sarazen had driven well, down the right side with 235 yards left to the hole. He chose to challenge the pond in front of the green with a spoon (a modern day 4-wood). The shot arched over the water, landed on the green, bounced twice and rolled into the hole for a double-eagle two. Sarazen had tied Wood with a single blow. He parred out the rest of the way and won the 36-hole playoff the next day 144 to 149. One of the elements of the Masters that distinguished it from other tournaments was that it was an “invitational” with a select field chosen by Jones and Roberts. Less than half the number of players tee it up at the Masters as other majors. Thus there are few surprise winners, and those wearing the champion’s green jacket, tend to resemble a pantheon of golf. In the early days, Sam Snead and Jimmy Demaret won three times each; Byron Nelson and Ben Hogan twice. 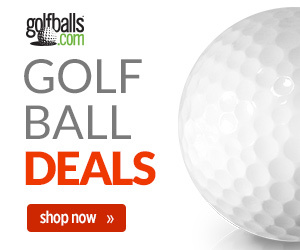 From 1960 until 1966 the only winners were Arnold Palmer, Gary Player and Jack Nicklaus. In recent times Tiger Woods and Phil Mickelson have won a combined seven Masters. Of the favorites heading into the 2016 Masters Jordan Spieth, Bubba Watson and Adam Scott have all been past winners. 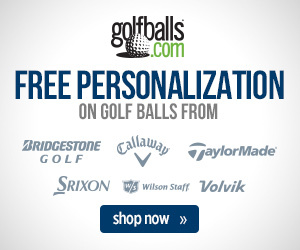 Previous story Father’s Day Gift Guide: Go Customized!